The Vendor Snapshot is an up-to-date snapshot of the property and visitors – with personal details hidden. 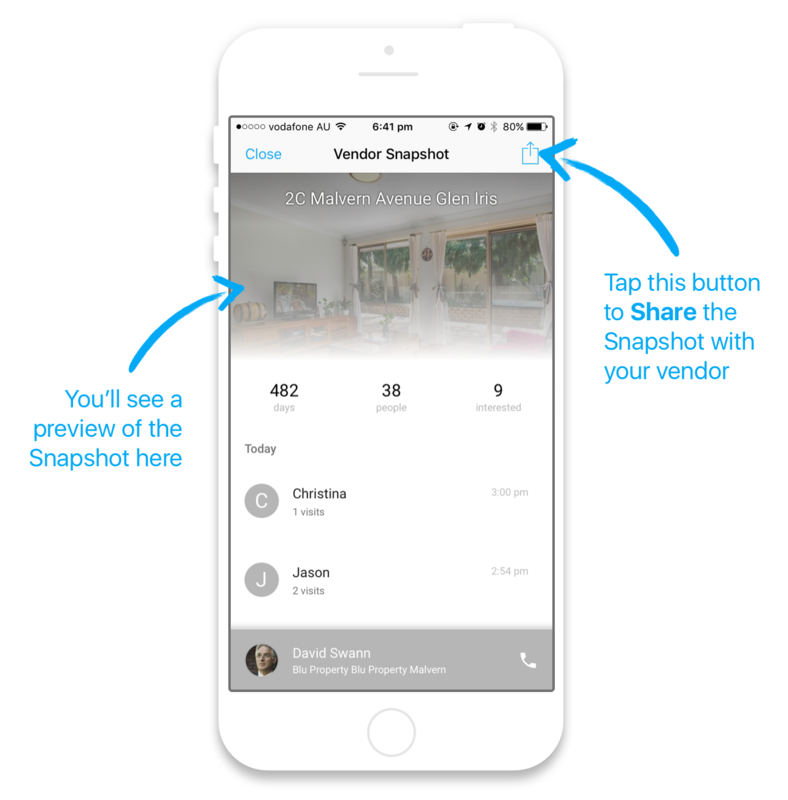 To share the Snapshot with your vendor, simply tap the More button on the top right of the property page. Here, select Send Vendor Snapshot. A new screen will appear where you can preview the Snapshot. Tap the Share button on the top right of the screen. 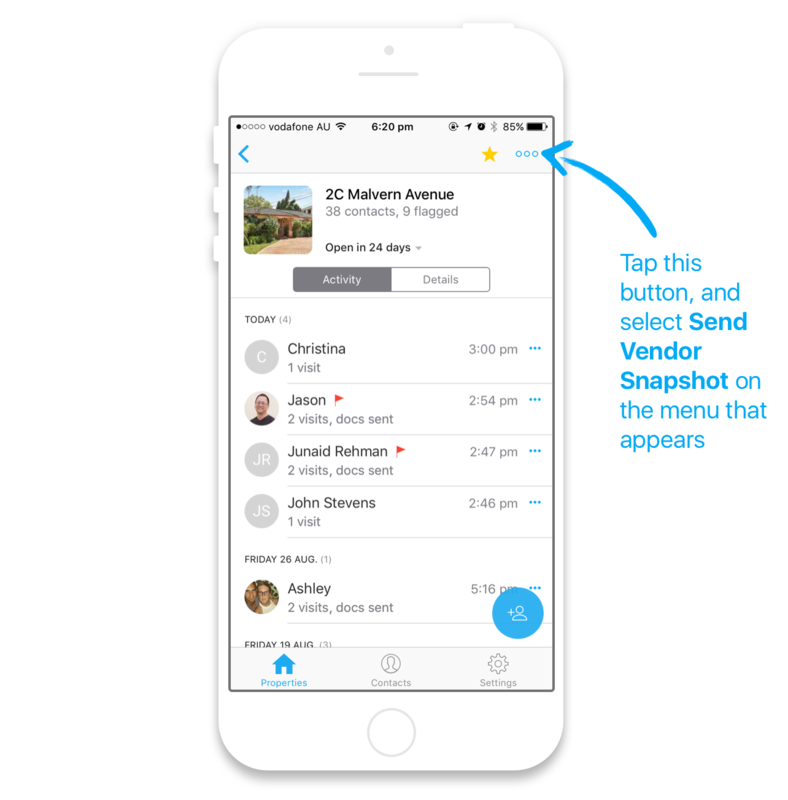 You can choose to send the Snapshot however you'd like – a link will be provided, which your vendor can use to access the Snapshot. Most users SMS or email the Snapshot.